Everton entertain Leicester City at Goodison Park on Wednesday night. With activity beginning at around 6pm, the FanZone is the perfect place to get in the matchday mood. Evertonians have the chance to win a £25 shop voucher through two competitions - a picture quiz competition and "Play Your Cards Right". Blues fans are also encouraged to bring new or old kits which can be donated at any of the 'Kits for Africa' collection bins located around the stadium. And there is also plenty of food and drink available. The Matchday Hub will be open to the public from 4:45pm until 7:30pm, where there will be a games area, a DJ and also face painting. There will be a children's meal deal for £5, which includes chicken nuggets or a giant sausage roll with fries and a soft drink. Adults meals are on offer at £5.50 and include a steak and ale pie, chips, peas and gravy. 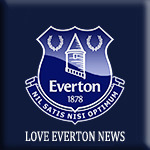 Everton in the Community staff will be delivering three football coaching sessions on Saturday. Ages 5-7 will be at 6pm, ages 8-10 will be at 6.30pm and ages 11+ will be at 7pm. Cafe open from 4:45pm until 7:30pm, with pre-packed sandwiches, tea, coffee, soft drinks and snacks available. 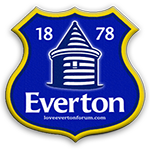 The Everton FC Heritage Society will be located upstairs at St Luke's Church with displays covering the history of the Blues. There will be stalls selling old programmes, memorabilia and merchandise. Tom Regan, a regular attender at St Luke's, will be showcasing his displays of "Toffee Art". Visiting fans are always welcome and we have a feature on the opponents of the day, including a DVD showing goals from previous encounters. Think I'll do the same - waste of my season ticket, but at least I'll have an early night. You can watch Skysportsnews and get excited about all the incoming transfers on deadline day.